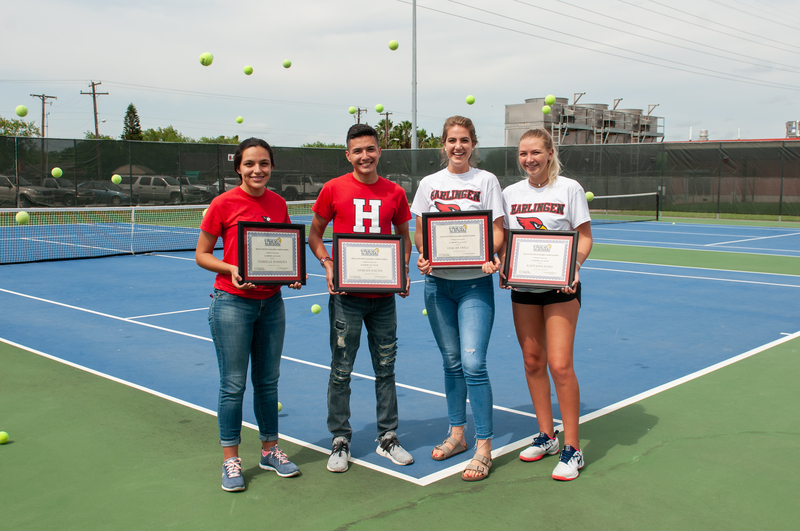 The Texas Tennis Coaches Association recognized four talented Harlingen High School athletes for their outstanding performances in the classroom and on the field. The TTCA presented academic all-state awards to tennis players Darielle Barrera, Adrian Bazan, Skylar Snell, and Kaitlynn Jones for their accomplishments. Candidates are nominated each year. Graduating seniors must have a 92 or above GPA.